Physicians today face mounting pressures from every direction. 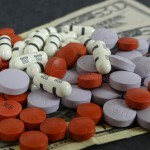 Insurance companies and government regulations burden practices with ever-increasing amounts of paperwork and rapidly dwindling reimbursement. Higher patient expectations are resulting in increased frustration, loss of control, higher overhead and diminished income. 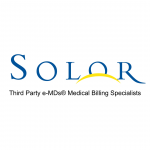 Solor, your outsourced billing solution specializing in e-MDs®, helps physicians overcome these challenges. This platform combined with Solor’s Centralized Intelligence Billing Database provides the technological infrastructure to create a back office partner second to none. Founded in 2003 by a physician who was frustrated by inefficient billing practices, the company spent three years perfecting its craft before offering its services to the general public. Solor now has clients in 15 states. Our clients include a variety of specialties: Family Medicine, Internal Medicine, Pediatrics, Rheumatology, Pain Management, Psychological Services, Obstetrics, Gynecology, Urgent Care, and Wound Care/ Hyperbaric Medicine. Because of our dynamic IT partners, we can help practices no matter where they are throughout the US. But Solor is more than simply a billing company. Click here to see our portfolio of services. Want More Information? Give us a call at 1-800-230-9561 or fill out our contact form below.